In this studio, singers are guided towards deeper understanding and more advanced skills in four crucial areas: how to sing (Technique), what to sing (Repertoire), where to sing (Performance), and why they sing (Communication). Essential for every singer is a vocal technique that is clearly articulated, supported both experientially and scientifically, and made routine through carefully crafted vocal exercise. 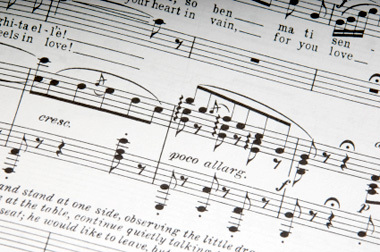 Healthy vocal technique depends on the singer’s clear understanding not only of the sound qualities he or she seeks, but of the specific physical actions and mental habits necessary to achieve these results consistently. In their pursuit of such a technique, singers require accurate information about the way the voice functions, diagnoses of their vocal challenges, and effective prescriptions for building improved coordination. They benefit from guidance that develops or heightens the dialogue with their own bodies/instruments. And finally, they need vocal exercises that will bring these understandings into practice and develop the technical automaticity needed for elite performance. A singer’s repertoire must fit not only his or her voice category or range, but it must also suit the singer’s technical abilities, personality and temperament, vocal stamina, dramatic capabilities, and even physical characteristics (in our visually oriented culture). Singers must develop a clear and complete picture of the repertoire that suits them—that reflects and demonstrates a deep understanding of their instruments and of their strengths as a performer. Moreover, they require specific tools and processes that allow them to apply their technical knowledge, musical artistry, and dramatic skills to repertoire. Singing is a performance art, at its most powerful when shared with the larger community. Whether a singer is destined for the operatic stage, the concert hall, church sanctuary, or other school and community venues, finding places to share one’s art is crucial to a singer’s vocal development. 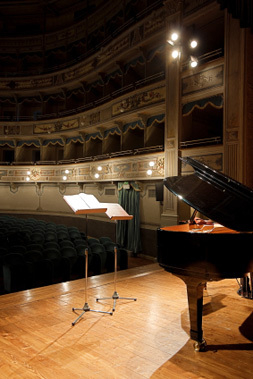 Singers must determine appropriate performance venues at all stages of their development, and in some cases, must actively create opportunities to share their art with their communities. Singers can also benefit from a broader and more flexible definition of success in performance, which in many cases does not hinge solely on the contracts, roles, or opportunities singers are offered by established companies and organizations.